So for those not in the know, I wrote a dissertation topic on the changing nature of fandom with the advent of the web series. Its an incredible look at how much the online viewer really has much more control over what he/she watches on the web with the number of metrics and analysis in place that was never possible in any other format. This insight did not only come through my studies both in London and Los Angeles; it came actually years prior just from idle browsing and recommendations. Notable web series early on made their mark through taking both a familiar property to target a specific niche and playing around with the concept through parody. Many web series to this day follow this train of thought to really garner an audience and create a relationship with the cast and creative crew. From what memories serve me, one of the first web miniseries I was ever introduced to was Street Fighter: The Later Years from CollegeHumor. Started with three episodes for original content for CollegeHumor, it became a viral hit with its Street Fighter branding and successful word-of-mouth, becoming a 9-episode miniseries. The series followed the Street Fighter characters in their post-fighting careers. For instance, Zangief, the Russian wrestler, was now a janitor at an old arcade while Dhalism, the Indian shaman, was now a taxi driver. Eventually, through unusual circumstances, they all meet to reignite the fighting tournament that started their careers in the first place. Unknown to any of them, however, is a dark secret that threatens lives and friendships apart. Although the humor was sometimes a bit juvenile with some odd characterizations and omissions at times, the series for its time, had some great production qualities, but more importantly, it was clever and consumable. When Street Fighter: The Later Years arrived, it came amidst a slew of user-generated basic content and an uprising of slightly more professional content thanks to the advent of flash video upload services like Youtube. The production not only used actual actors but included a snazzy camera and some special effects work. It was reminiscent of a cartoon short in its length and was nostalgic with its content. The two boys playing the Street Fighter II arcade machine is just the tip of the iceberg. However, the true level of excellence came through how the material was used. Director Sam Reich created a plot thread that always stayed true to the franchise of Street Fighter and the memories the arcade era brought for many of its viewers. Concurrently, it poked fun at various comic motifs such as the ‘reunion’ of groups that was quite popular at the time of its release and created an original and interesting story arch, which kept going throughout the entire 9-episode length. Street Fighter: The Later Years may seem basic now but during its release, it was quite the intriguing and important web series and still holds up with its humor and its wit. Its even more of a testament that this mini-series is still better than nearly all of the official TV and movie merchandise. PS: In more awesome news, I’m thinking of doing my first blog contest! 🙂 Stay tuned for more news in the next week or two. Award season for films are upon us and so I thought it would be a good time wrap up my musing and type up a top 10 list for my films of the year. 2010, though, was not the strongest year for the filming communities as it went through some growing pains no thanks to the film studio’s endless pandering to 3D along with sequel and remake fatigue. 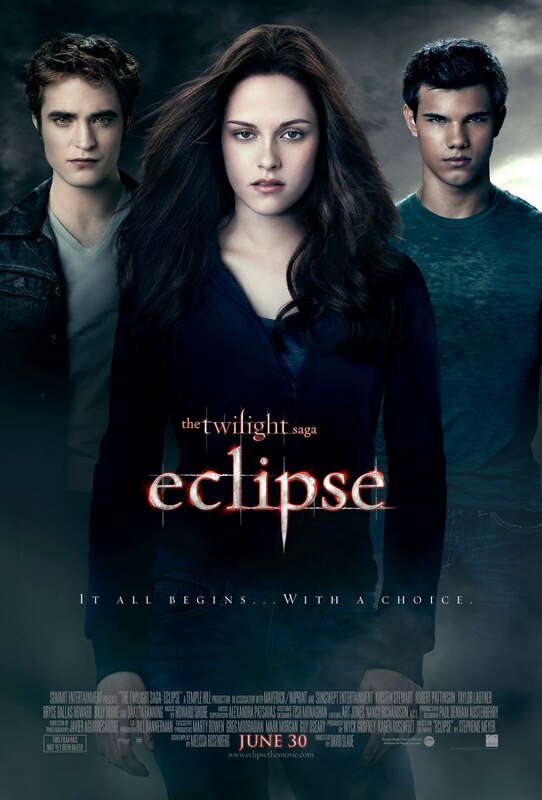 This resulted in a skew of critically ravaged and poor box office take-ins with some success sprinkled here and there. Whether it’s because of the increased connectivity and recommendation of peer reviews or the digital move of films online or perhaps just pessimism in the current film industry, there are major changes that film studios need to make to their strategy to stay viable for the next decade as the battle with all of these elements will only continue to increase. However, on that sour note, that is not to say the year was devoid of its winners as there were good films in all genres. The year began to see more of an acceptance of the online realm into films along the lines of different genres. Additionally, the big idea of a film really reigned through (along with clever and good marketing) and both independent and smaller produced film enjoyed a late-year push. This year, it was difficult to cap the list at ten with some outstanding films really vying to be included. One of my personal favorites that I had to remove from the main list but had to include in some capacity is Never Let Me Go, a lower budget sci-fi film intertwined with a romantic backdrop. Although the premise is strange and runs into problems with the pacing, the end result is beautiful. A toned down color palette and a loving camera helps set the scene, while the acting, ranging from Garfield to Knightly to Mulligan, brings about quiet yet graceful performances. One of the biggest surprises came from the clever twists in the scenery and aesthetics that helped sell the future, alternate universe of the film that only added to the immense atmosphere. Yet, perhaps, the reason it still resonates in my mind is that the final twist in the film just quietly nestled itself into my psyche; it is not blithely shocking or uncomfortably flinching yet consistent with the film’s themes and a look into the realities of human experimentation and the question of what exactly has a soul. Other films have touched upon these in various ways, yet ‘Never Let Me Go’ is presented in such a captivating light that keeps it the minds of all its viewers. Black Swan is a quickly paced film that mixes in Aronofsky’s schizophrenic mindset of Requiem for a Dream with the intriguing character study of a performer (ala The Wrestler). Although I found the film to be a bit too melodramatic and predictable than many of my peers, the film has all the aesthetic trappings set to a high caliber. The cinematography is tight and candid, mixing in a horrific atmosphere with a dramatic film, and the musical reworking of Swan Lake is haunting and beautiful. Aronofsky, himself, is also simply interesting to consider with his fascination for the strange yet poignant plotlines. With The Wrestler, he peered into the lives of pro wrestling that was much more pained and melancholic than many spectators probably knew about. With Black Swan, he focuses on the life of another stage performer, this time much younger than in The Wrestler, and the pains of perfection, inspiration, and corruption. Although filled with more insanity than a typical drama, the underlying themes still resonate with the viewers to the final and heartbreaking last note. And finally, the acting is superb throughout. The supporting cast fills out their roles respectably from the obsessed and flawed musical director (Cassel) to Hershey’s caring yet broken mother. But the main attraction and one of the best features of this film is Natalie Portman. Her talent as an actress has never been in question, yet moviegoers have always been waiting for a role that she could embody and shine. Black Swan is it as she brings both an innocent charm and a nasty darker personality mixed with a very technical performance through her dance. The audience can only keep wondering into what other realms Aronofsky will go next. True Grit is a very straightforward Western film, yet the Coen Brothers have filed it with terrific characters, witty dialogue, and gorgeous shots. As with many of their more epic film sprawls, the vast deserts and locales look stunning with smart wide shots and beautifully placed angles that brings out a great amount of atmosphere. Additionally, the dialogue is strange, funny, and touching all at once. The laconic old Western dialogue is mixed with personalities that fly all over the spectrum that both seems to parody yet respect the old heritage of the language and gives so much quality to each of the characters in the duration of the film. Finally, the three main acting trio, here, rounds out the film’s excellence. Damon’s goody-two-shoes Texan never becomes grating but adds a lot of flavor to the dynamics. Bridges is marvelous as the drunk and struggling US marshal with a rich background, not needing to be conveyed by any flashbacks but through his monologue mumblings throughout the plot. And finally, newcomer Kim Darby anchors the film as the young 14-year-old girl who narrates and begins the pursuit against her father’s killer. It may not be the Coens best work but is not only simply exciting and enjoyable to watch; it’s poignant and rich in details and characters that stand out as some of the year’s most memorable. Majestic; royal; honorable are all adjectives that describe monarchs at their prime. The King’s Speech views how each of these elements can be turned on its head by technology and defects that can create a slew of problems, especially for the Royal Family of England. ‘The King’s Speech’ does brood a bit and romanticizes the 1930 time period with a very ethereal gaze, yet when the film hits its stride between King George (Firth) and Lionel (Rush), the dynamic between the two characters and the slow ascension of political unrest is engrossing and fascinating. Two separate plot threads become slowly and perfectly intertwined with one another and the film’s predictable, and graceful climax becomes a great scene, reminiscent of an orchestra conductor leading his musician in a beautiful melody. It not only is amazing how a stammering monarch never becomes too annoying to listen to but the strong and rich performances of Firth and Rush and the rest of the stellar supporting cast, especially the underutilized Carter as Queen Elizabeth, round out a package that makes the film a force to be listened to and heard. The King’s Speech is not only sweetly inspirational but a study of both political will and a speech study that should only become more fascinating after each viewing. This dramatic comedy came in the middle of the summer as a surprise. Its modern family premise with a lesbian couple, their two children and their sperm donor father, made for a fresh and intriguing foundation. The film ended up looking at the societal implications of the 21st century family. Its script is methodical but witty and moving with characters and situations that never feel out-of-place and does not worry moving its own plot along in place of understanding the characters, motivations, and thematic implications. Great acting is evident from the children, Wasikowska and Hutcherson, who bring out a mixture of curiosity and teenage angst, mixed with the great performance of Ruffalo as the father that gets more and more intertwined and caught up in a life he never knew he really had. Moore and Benning are, however, the highlights of this terrific picture that both not only give great performances as a couple but never force or make the relationship feel out-of-place. The Kids are All Right is a film that is a great look into the changing notion of family and perhaps gives the most ‘radical’ conclusion: that the core values of family are omnipresent whoever the parents are. Although some may consider Black Swan to be the polarizing film of the year, I believe The American takes the spot with a very split love it/hate it mentality with most aiming towards the latter. However, for those on the other side, including myself, it is an atmospheric, meticulous dramatic film that has one of the best sound designs of the year along with being a well-crafted film. The sound is impeccable and really carries much of the film’s tension and anxiety. As much as there are some action scenes, very few actual gunshots are fired. However, it is at the moment that the shot is fired that is truly harrowing with it sounding not only loud but crisp and realistically deadly. This atmosphere of silence and noise continues throughout the film with short bursts of dialogue and exposition interwoven with this sense of dread. Right up until the satisfying conclusion, the audience continues to guess where the plot will turn as it continues to play with sound and silence. In addition, from the presence of light to butterflies to slight nuances in the dialogue give way to having to pay careful attention to every detail; making it head-wrenching but ultimately satisfying to see it all come together by film’s end. 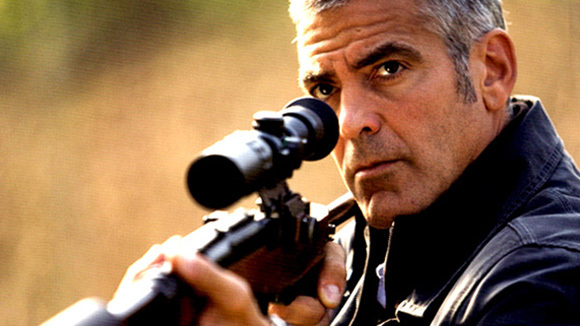 Clooney continues his run of great film roles that force him to delve more into the uncanny and dramatic; a great role that utilizes his emotions rather than his charm to make the role work. This film perhaps is not as great of a character study as some of the others or exciting or altogether enjoyable, yet it still is memorable and pervades my thoughts when thinking of 2010 and film. The gunshots and the lead-up to the climax feel like they continue to ring up against my ear, reliving the memories of Italy and an assassin’s journey. 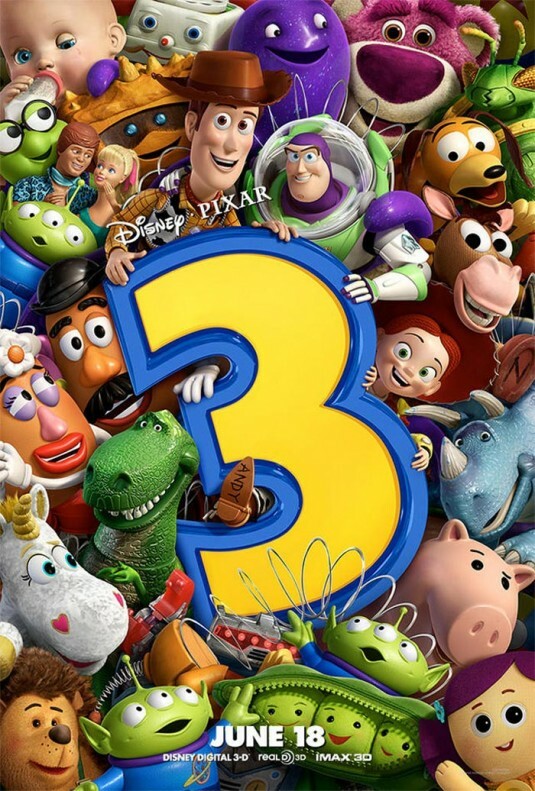 Animated films allow the creative team to explore the imagination without having to sacrifice a possible disconnect in experience since all the elements in these films are usually not embedded in live action elements. This year saw the entries of a few good entries in the animated genre, yet I felt that Dreamwork’s How to Train a Dragon really shone through as the most original and successful work that captured my attention. Visually, it shines with vibrant colors and a great looking art style. It also is one of the few films that I thought actually utilized its 3D well with some fantastic set pieces that created a great adrenaline rush and experience through perspective shots and well-placed angles. 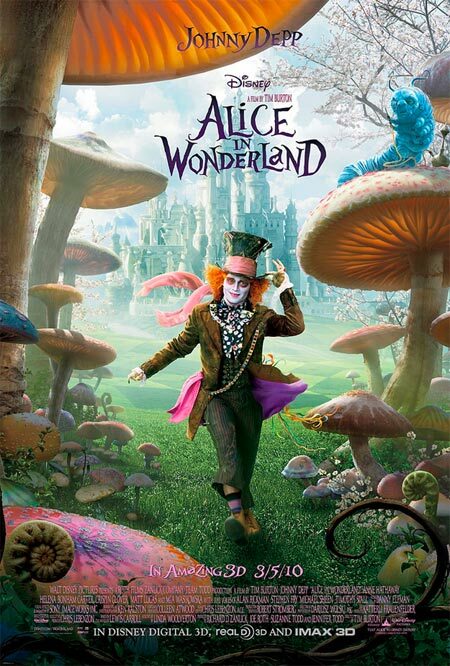 It does not hurt that it has a good, pulsating soundtrack with nice performances from its voiceovers and great pacing. Even though the plot may not be the best of what its animated predecessors in general have had to offer and does not deliver the best narrative strand or characters on this list, as a total package, Dreamworks should be proud of ‘How to Train a Dragon’ and continue to push the animated medium to new heights, bound by only the confines of the imagination. 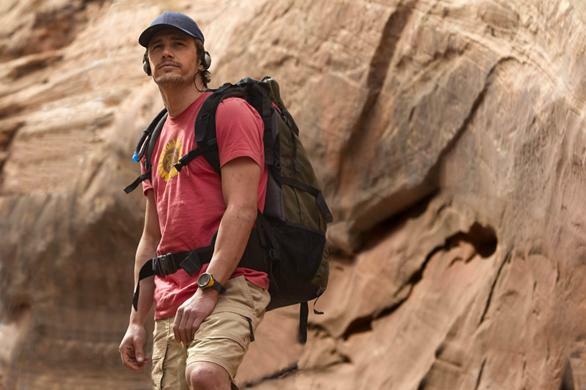 127 Hours is a film that is inspirational as it is frightening. Honestly, many directors would have taken the work and created a 30-minute special on it on television since the great majority of the movie takes place in a canyon with an adventurer stuck in a boulder. The energetic Boyle, however, takes that challenge and creates a beautiful film that is filled with vigor and candidness. It really is one of the best films to capture the mindset of someone trapped and alone, utilizing everything from color to dream sequences to smart editing tricks that never feel tedious or out-of-place. Yes, the ending that everyone knows sequence is excruciating not because of some visual trickery but the sound design that is haunting. And yet the conclusion seems fitting given the circumstances and the reasons given. As much as it was the year for many young actors and actresses to come into their own, this was Franco’s movie to shine, and he doesn’t disappoint at all with a strange combination of glee, frenzy, and fear. Add to this the strange and bombastic soundtrack of A.R. Rahman that perfectly fits in with the great style and vigor of the film, the overall respect and grace given to the source material, and how skillful 127 Hours is with its exposition, and the end result is the most inspirational and tense films of the year. Somewhere is one of the most honest and subtle films on this list that takes snapshots of a day in the life of a movie actor and pieces them together to create an insight into human existence. The hurdle to get over for most will be both in its haphazard pacing that gazes for long periods of times at the minute details to the fact that Dorff’s apathetic character seems initially aloof to the trials and tribulations of the everyday person. Here is a character who is immensely rich, handsome, and popular; being able to bed any girl he wants and go anywhere he pleases. 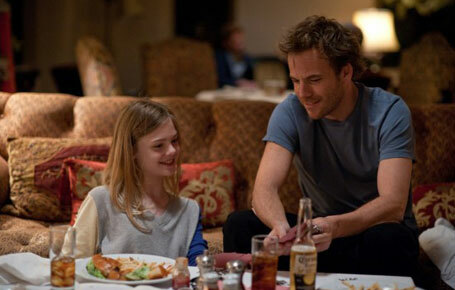 Yet as the film delves deeper, the flaws become easily apparent and the resonance Dorff has with Cleo (Fanning), his daughter, is not only touching but alluring. The characters are witty yet filled with this sense of real weight. Dorff is excellent in his multiple transformations he takes throughout the film; and the candidness of the camera brings about a flurry of emotions so easily without having to force itself to be different or stylish or strange. And best of all, Coppola’s direction and writing are top notch here. Never having to resort to explicit melodrama or a moody soundtrack and just focusing on the characters and their lives; Somewhere presents and explores the question of being and the motivation to live and all the trappings we, as humans, trap ourselves with. A film about Facebook, many feared, was too soon and would be a waste of time. However, The Social Network really does come at a perfect time as Facebook passes the 500 million users mark and was just valued as a $50 billion company. Additionally, the film comes at a time when its users and critics start to wonder at the moral and social implications of such a platform and the wonder, frustration, and envy that borne from it. The Social Network does not explicitly take on the present day issues of Facebook but it beholds a past that is filled with many of these elements, creates an engaging set of characters and plot threads, and leaves the audience, in the end, with who is perhaps the best character of 2010, Mark Zuckerberg (Eisenberg). On a purely aesthetical level, the pacing is quick yet understandable; the writing is smart and snappy which both builds character and is always interesting to hear; the direction shines with a hand for interplaying the light and heavy moments; and the acting is full of wonderful moments that make the characters live and breathe with sincerity. Best of all, Eisenberg’s acting shines to create one of the most memorable characters. It is through Zuckerberg, whether true or false in reality, that the themes of the film are imbued within the characteristics of Facebook and the struggles that he himself goes through are the struggles that the online user today must grapple with. 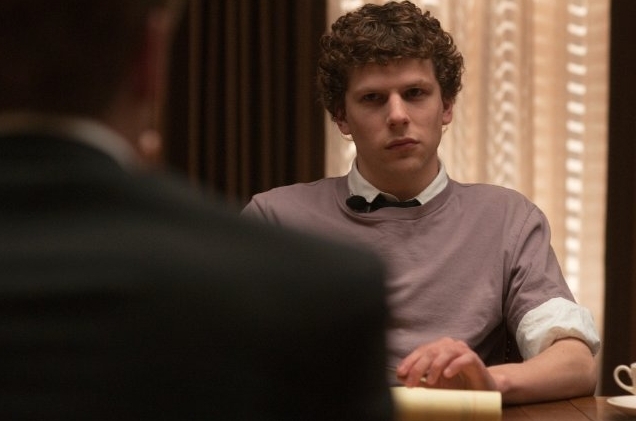 In and of itself, The Social Network is one of the best films of 2010 because of both being a great piece of content and a symbolic film of the next generation of users. Inception is more than just a blockbuster. It is more than simply a complex tale involving multiple plot threads at once. And most importantly, it is more than just an escapist piece of fiction. 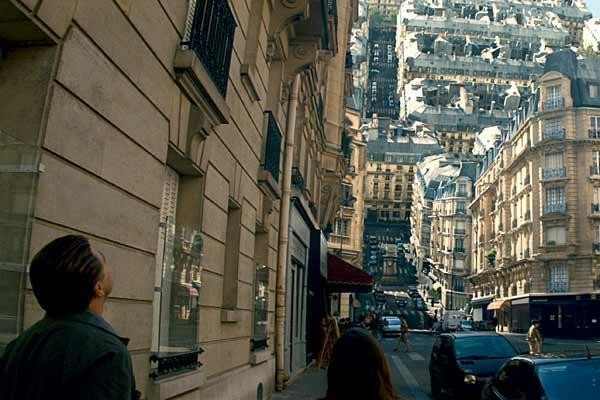 Inception is the embodiment of the relationship between the film and its designer and is a film that can really be read on so many different levels. It is befuddling to read through the various interpretations available. On a technical level, the film is phenomenal. It utilizes its realistic template with actual setpieces that are extraordinary with CG utilized in ways that hold this sense of illusion. The soundtrack is bombastic, strong, and driving. The cinematography work is stunning. And the acting is good: a team effort through and through. Yet perhaps the most stunning element is the fact that it is all kept together with a strong direction and an excellent script. It never loses sight of its goal and mission, even with the four to five plot strands that interweave with one another by film’s end and the numerous flash forwards, flashbacks, and dream case scenarios. Nolan has utilized the medium of film to let his imagination soar far and create an experience only possible here. The film still resonates in my mind to this day as one that excels in all its areas, is able to bring a coherent and excellent piece of content forth to the audience, and brings a deciphered code of a message that can be interpreted in a multitude of ways. For instance, my reading is to the camp that sees Inception as Nolan’s 8 ½, a brilliant film by Fellini. Fellini created a symbolic film of a director’s struggle to create a film and manage his own life. Nolan has created a similar film under the guise of a fanatical dream; a dream that perhaps humans all share in telling an idea, a concept, a story to one another, and the struggles and memories human beings must muddle through in order to bring these elements to light. Perhaps this reading is silly; yet in the end, I believe that is why so many were fascinated with Inception, as it tapped into our own subconscious and asked everyone what we believed our dreams to be.